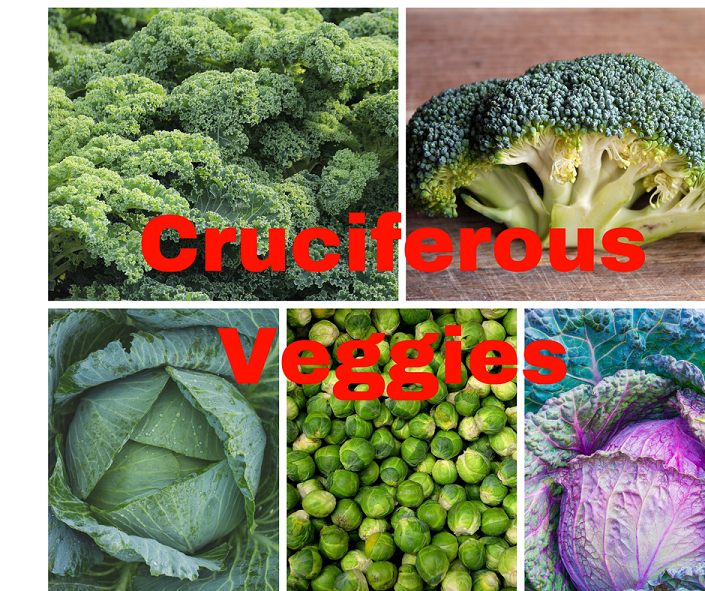 I picked up this bag of Cruciferous Crunch at Trader Joe’s this week. 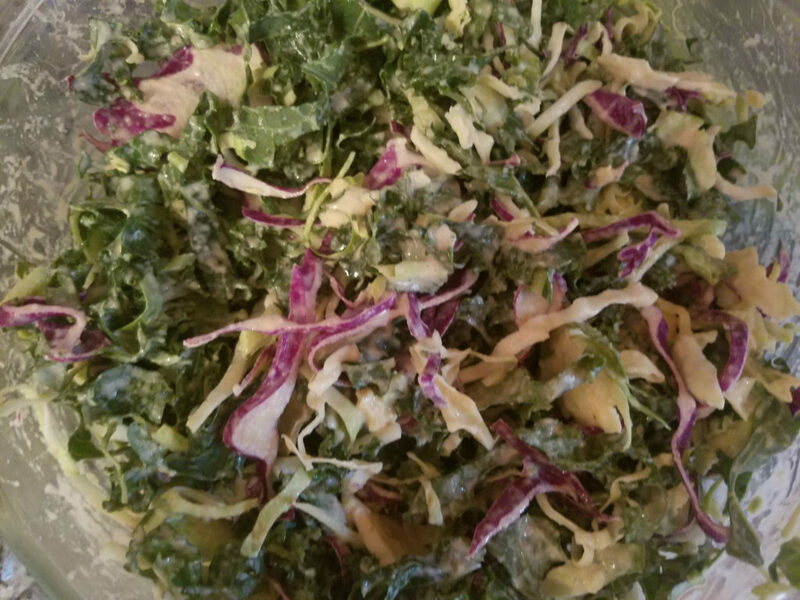 It’s made up of shredded and chopped kale, broccoli, Brussels sprouts, green cabbage, and red cabbage. Trader Joe’s did all of the work of shredding the vegetables. Other stores are probably now carrying a similar product but if you have to, you could always make your own crunch collection. This was an impulse buy and it worked out well for me. I basically decided to make some kind of salad or slaw with this. I think you could add to these ingredients or change them without problem. If I had some dried cranberries or dried cherries in the house, I would have added them to the salad too. Slivered almonds or pignon nuts would have worked in place of the chopped cashews. I think you could also swap out the almond butter with tahini. I think peanut butter might be a bit too strong a flavor but if you try it, let me know. Mix the ingredients for the salad dressing in a small jar and mix well. Make sure the almond butter is well blended with the other ingredients. Empty the bag of vegetables into a large bowl and then pour the dressing over. Stir the salad well. Serve immediately or cover and put in the refrigerator. It tastes better if allowed to sit for a while. I’ve kept this up to three days and it’s been fine. It might have lasted longer but it was eaten before I could determine its end date. When you serve the salad, add some chopped cashews and/or dried cranberries on top. The nuts will go soggy if mixed into the salad early, so wait and add them immediately before eating. This sounds delicious! I’ve never had a dressing like that with almond butter, but I’ve got to try it! Basically, I’ve found that mixing almond butter with lemon or lime juice and some heat turns out really well. You can make a great topping for chicken or veggies that way.